Modernized updates from floor to floor! Open concept main level with wide plank, bamboo flooring. Gourmet kitchen with crisp white cabinetry, granite & newer stainless steel appliances plus a work station. The family room opens to the kitchen with a cozy fireplace. Formal living & dining rooms greet your guests upon entry. The upper level has a master suite with walk-in closet & completely renovated spa bathroom. Three additional bedrooms & renovated hall bathroom complete the upper level. The new, fully finished basement includes space for rooms & a full bathroom. The fenced backyard includes a trex deck, perfect for entertaining. Wonderful amenities in South Riding like multiple pools, clubhouse, tot lots & running trails. SchoolsClick map icons below to view information for schools near 43489 Quentin St Chantilly, VA 20152. Home for sale at 43489 Quentin St Chantilly, VA 20152. Description: The home at 43489 Quentin St Chantilly, VA 20152 with the MLS Number VALO352780 is currently listed at $601,000 and has been on the Chantilly market for 73 days. 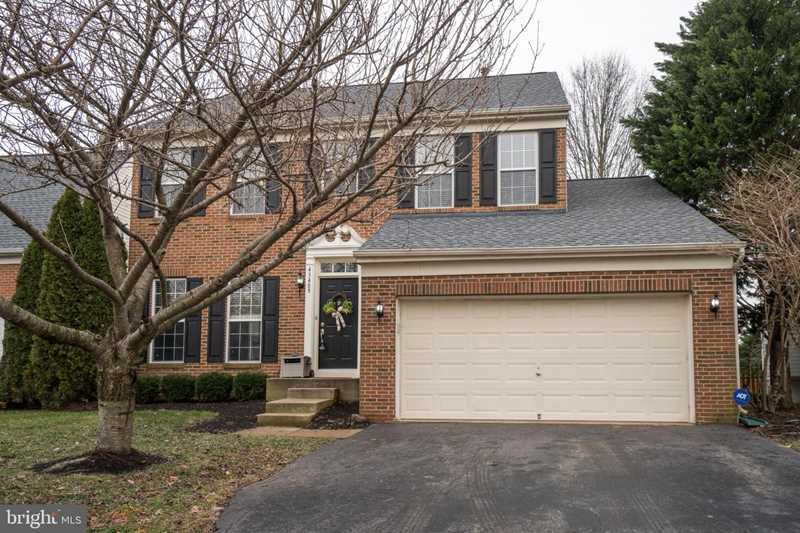 You are viewing the MLS property details of the home for sale at 43489 Quentin St Chantilly, VA 20152, which is located in the South Riding subdivision, includes 4 bedrooms and 4 bathrooms, and has approximately 2280 sq.ft. of living area.